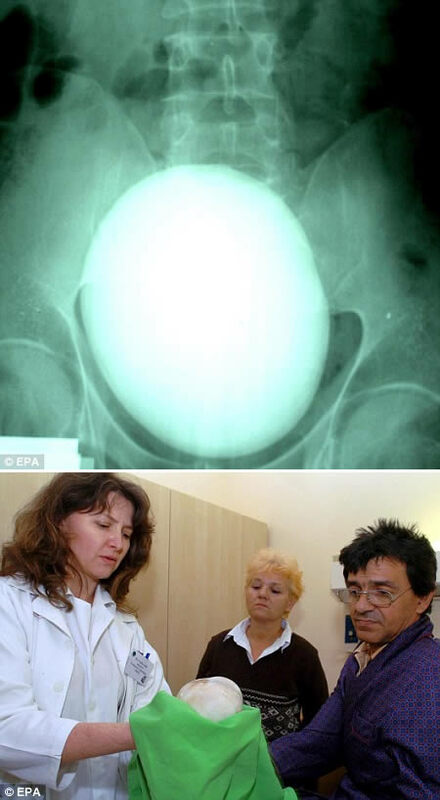 This kidney stone was removed from a Hungarian man in june 2009. It weighed a staggering 2.5lbs. Kidney stones vary in size. They can be as small as a grain of sand or as large as a golf ball, which makes Mr Sarkadi’s stone all the more remarkable. That is one very large kidney stone. I ah d a kidney stone removed it was the size of a pea.